Based in Montreal, Dîner en Blanc International is responsible for developing this secret posh picnic in over 80 cities worldwide. Each event is headed by passionate local organizers who fell in love with the concept and who wanted to bring it to their city, adding their local flair, yet respecting the event's core values. With requests coming from cities all over the world, Dîner en Blanc International set up an exclusive turnkey service that supports organizers in the creation and management of their own event. On June 3rd, 2018, Le Diner en Blanc de Paris marked its 30th anniversary! A record 17,000 guests from Paris and around the world gathered at the Esplanade des Invalides to celebrate this historic moment. In 1988, after spending a few years abroad, François Pasquier wanted to organize a picnic to reconnect with old friends. The concept was simple: "Bring a meal, and bring a new friend." Seeing as his garden was too small to receive all the guests, he told them to convene at the Bois de Boulogne and to dress in white, so they could find each other. This friendly gathering became so popular that it grew over time. It now bringing together over 10,000 friends of friends every year in Paris. Thirty years later, François Pasquier still organizes the Parisian Dîner en Blanc with those same friends. Le Dîner en Blanc® caries a unique history and a philosophy we are proud of. Our family is growing, and many cities have joined the Dîner en Blanc family worldwide who wish to participate in this concept and respect its philosophy. 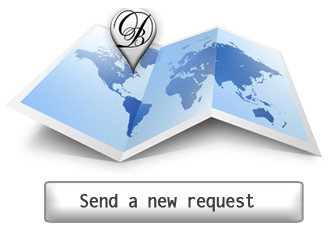 If you wish to organize Le Dîner en Blanc in your own city, please contact us by sending us a new request.